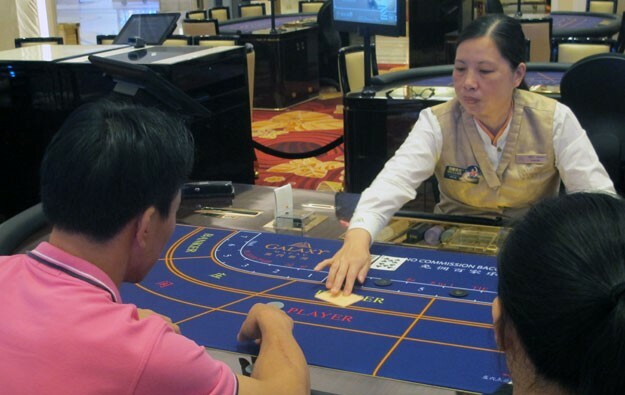 Macau casino operator Galaxy Entertainment Group Ltd announced on Wednesday a discretionary bonus for its eligible employees at senior manager grade and below. The press release about the award noted the group’s staff had helped it achieve “new heights” despite what it termed “emerging market challenges”. “Although the gaming revenue has slowed down in recent months amid increased competition with newly opened properties, Galaxy Entertainment achieved a solid result overall last year,” said the announcement. The casino operator has yet to announce to the Hong Kong Stock Exchange its fourth-quarter and full-year results. In October, Galaxy Entertainment – which is only required to disclose its full operating numbers every six months in line with Hong Kong bourse rules rather than the quarterly data required of United States-listed or associated companies – reported third-quarter adjusted earnings before interest, taxation, depreciation and amortisation (EBITDA) equal to US$498 million. The figure was up 10 percent year-on-year but down 10 percent sequentially. Galaxy Entertainment was the fourth Macau operator within seven days to announce some form of wintertime bonus for work done last year.